Tie to be played on Thursday 18th April, 19:30 at Altrincham FC. Tie to be played on Tuesday 23rd April, 19:30 at Altrincham FC. A huge thank you to all the individuals and companies who donated prizes to our 2018 Christmas raffle, and of course to everyone who purchased tickets. The funds raised make a massive positive impact to the training and development opportunities for referees in the Altrincham & District area. The draw was conducted during the December meeting and the full list of prizes and winners can be viewed by clicking here. 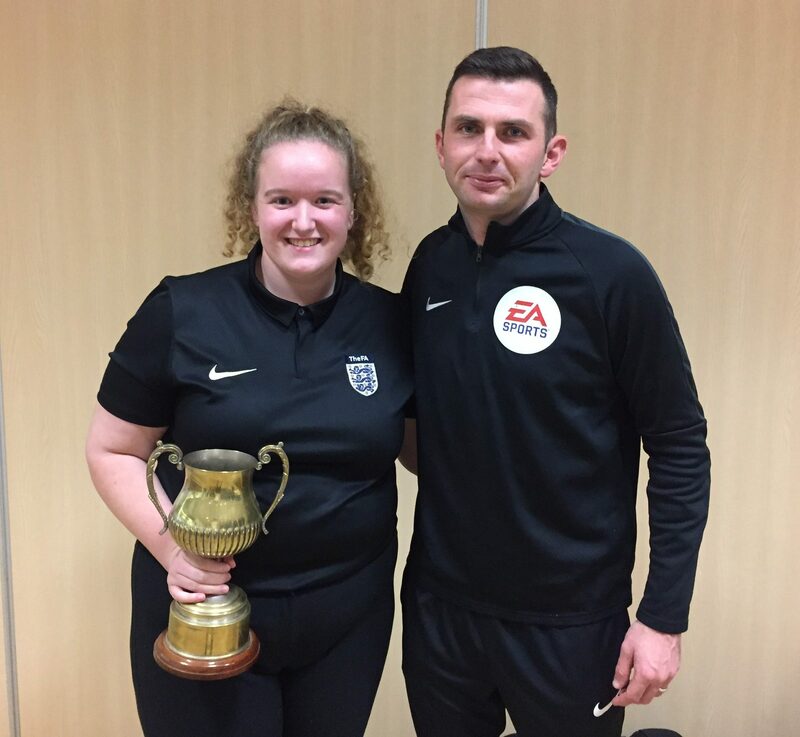 We are delighted to announce that our Young Referee of the Year for 2017/18 is Charlotte Phillips. Charlotte ended an outstanding season with appointments as Referee for a County Cup Final and 4th Official for a National Cup Final. In addition, Charlotte volunteered some of her time during the season to mentor trainee referees and serve on the ADRS Committee. The trophy was presented to Charlotte by Premier League and FIFA Referee Michael Oliver.